I just wanted to let all of you know about another salmonella contamination recall. 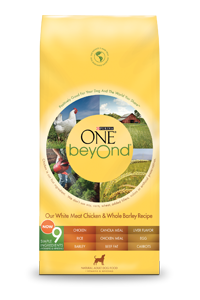 This time it is Purina One Beyond. Actually only one bag of actual contaminated food has been verified. The issue here is very similar to the IAMS recall that I posted about earlier. Except this recall effect a much smaller amount of product. If you would like to switch your dog to a different food and have questions about which may be appropriate for your dog. Please contact me.